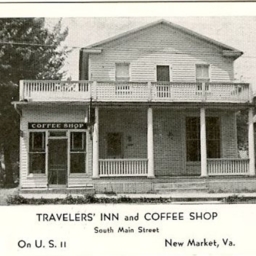 Postcard showing the Traveller's Inn and Coffee Shop located on South Main Street in New Market Virginia. 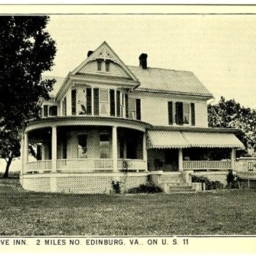 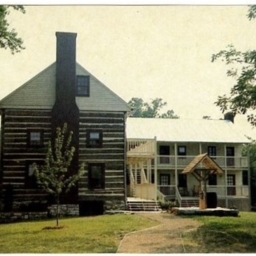 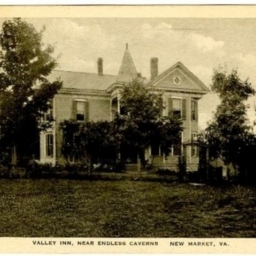 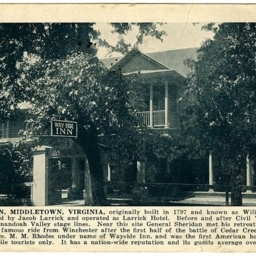 Postcard with a photograph of the "Locust Grove Inn" located in Edinburg Virginia. 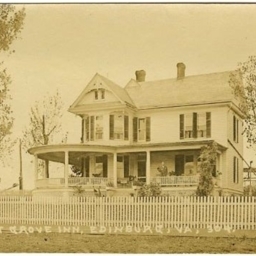 Postcard with a picture of the Locust Grove Inn located near Edinburg Virginia. 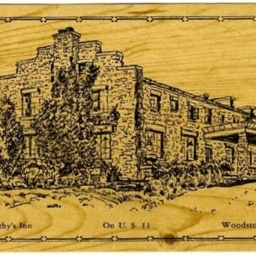 Postcard with a drawing of Dorthy's Inn located just south of Woodstock Virginia. 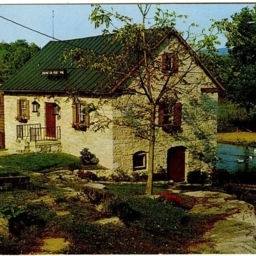 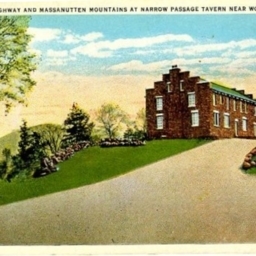 Color postcard with a picture of the Frontier Fort in Strasburg Virginia when it was an Inn and Restaurant. 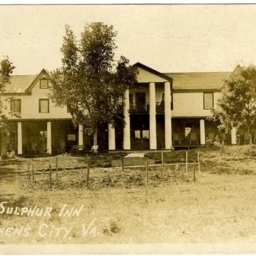 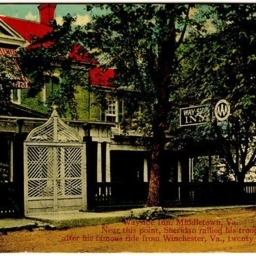 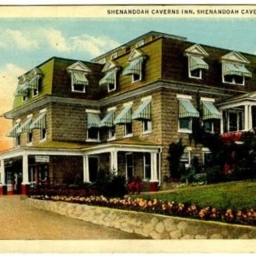 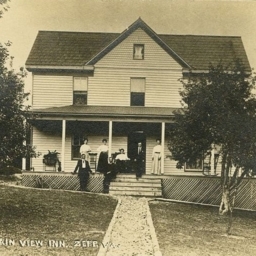 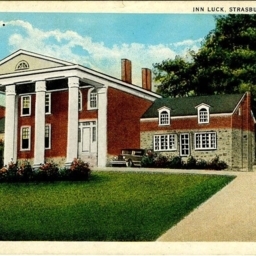 Color postcard showing the Inn Luck located in Strasburg Virginia. 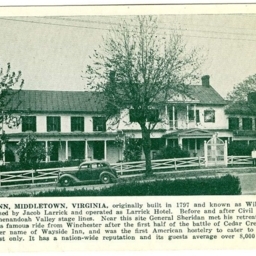 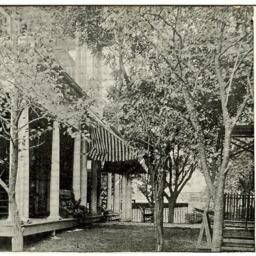 The Inn was located in what is today called the Hupp Mansion.